Jacqui is a wonderful hostess and she has a beautiful, self-catering property in a quiet nature reserve. The rest and respite found at Thornwood were just what we needed. oh my goodness, this place is stunning. Spacious, modern, but at the same time elegant, charming and magical. Animals...everywhere. Amazing trails, with wild animals (safe game) following us everywhere. Outside showers!!!! Bush environment. Cottages. Decor. Mosquito nets. Showers. Service. AMAZING place! It's like an African dream. 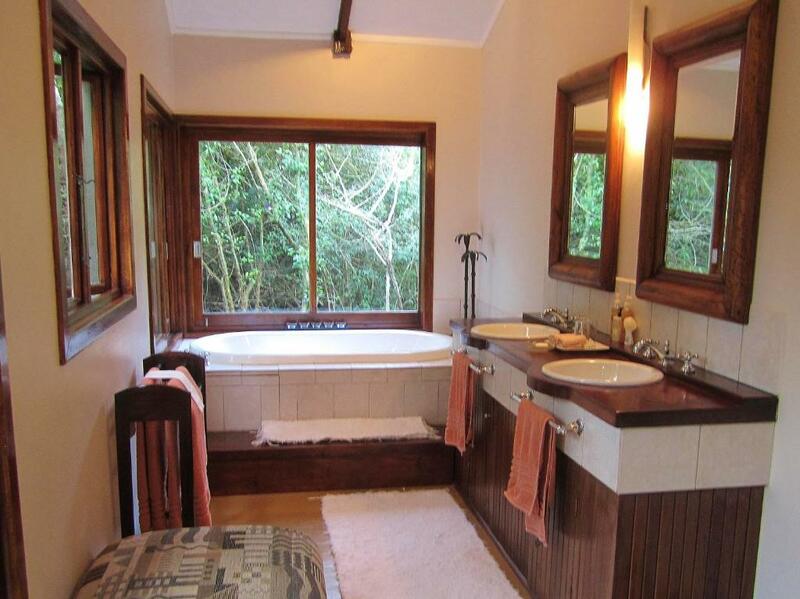 Bedrooms and bathrooms are awesome! Living room is fab! Went on lovely bush walks and saw giraffe, Kudu, wildebeest and lots of guinea fowls running around. Such a stunning place! 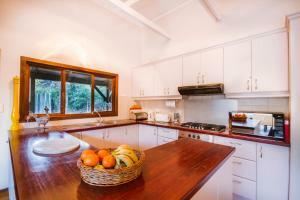 beautiful setting, relaxing, comfortable, clean and well equipped. Lock in a great price for Thornwood – rated 9.6 by recent guests! Thornwood This rating is a reflection of how the property compares to the industry standard when it comes to price, facilities and services available. It's based on a self-evaluation by the property. Use this rating to help choose your stay! The luxurious villa offers a living area, a private pool, and a fully equipped kitchen, which opens up onto a large deck with a fire-pit. The bedrooms with attached bathroom are fitted with air conditioning and ceiling fans and an additional outdoor shower. The Game Park offers self-guided walking trails, an abundance of bird-life and game. 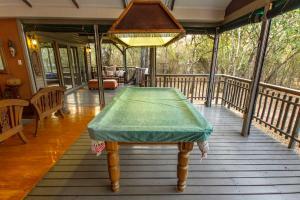 Neighboring the Isimangaliso Wetland Park, Thornwood is about 22 mi from Hluhluwe-Umfolozi Game Park. When would you like to stay at Thornwood? 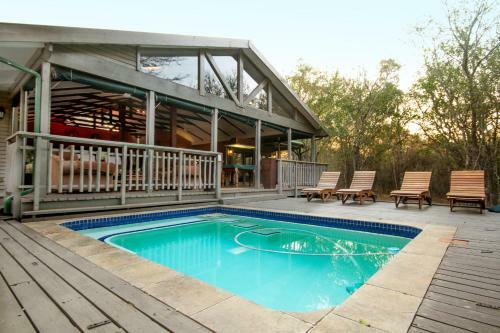 This spacious lodge-style villa offers a private pool and a fully equipped kitchen, which opens up onto a large deck with a fire-pit. Two of the bedrooms with attached bathroom are located inside the villa, while the other 2 bedrooms with attached bathroom are detached but linked to the villa via short walkways. All rooms have and additional outdoor shower and are fitted with air conditioning and ceiling fans. Thornwood was designed by the owners in 2002. 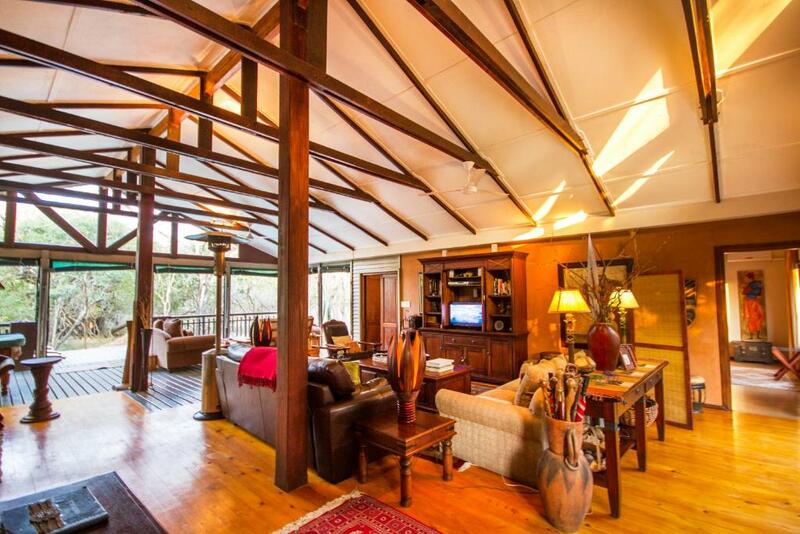 Spending many weeks camping in the bush with the their builder Roger they eventually created this 4 bedroom luxury villa. Inspired by nature the owners didn't want to feel as though they were stuck indoors while they were suppose to be enjoying the wonderful bush. 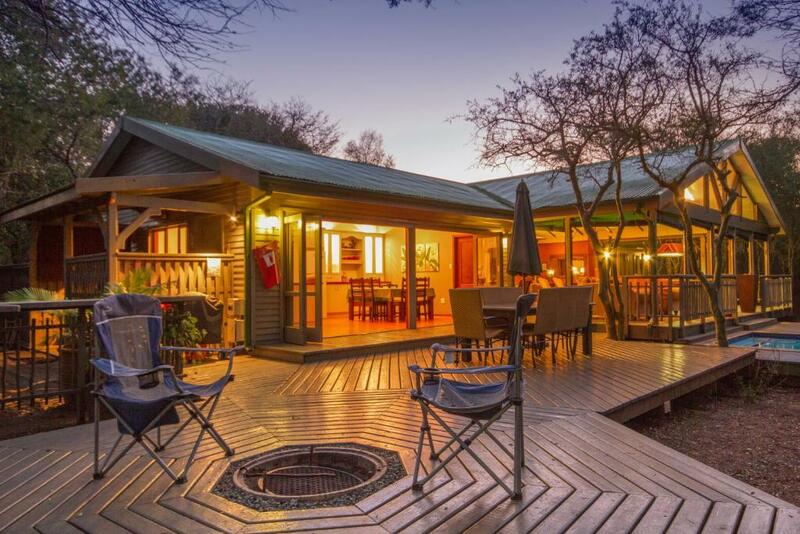 To create the feeling of a seamless transition from indoors to outdoors the main lodge is open to the bush with only three walls. The '4th wall' is made of drop down mosquito netting that can be left open or closed. 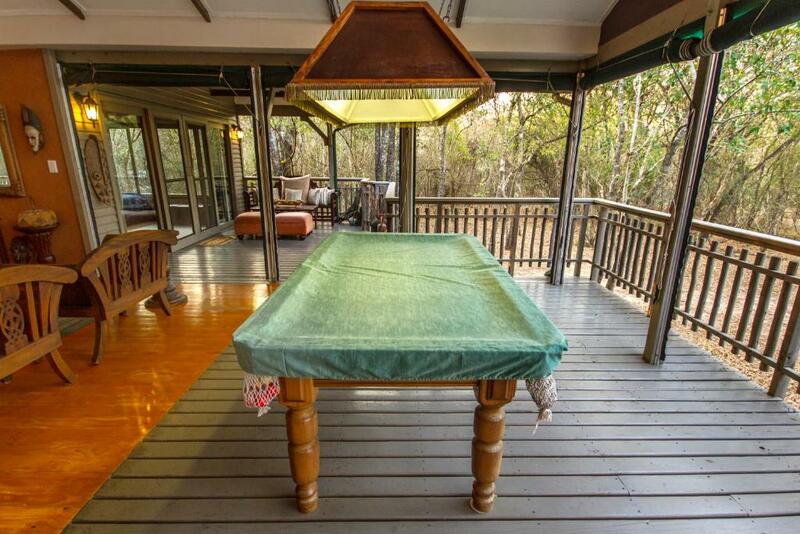 The kitchen doors roll all the way open onto a deck and fire pit. Even the bedroom and bathrooms open out into the bush or onto private decks. 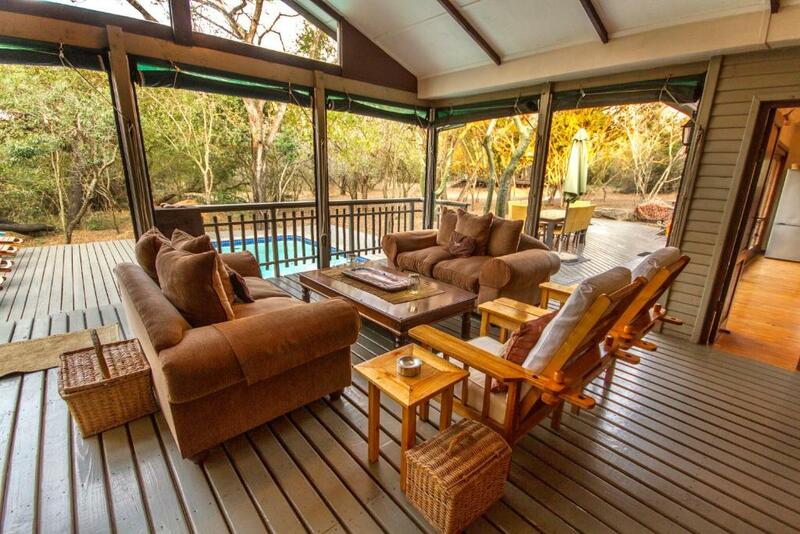 At Thornwood you can sit and relax while giraffe, duiker, nyala, kudu, wilderbeast, warthog, mongooses, serval, bush babies and many other animals visit the lodge. Feeling active? There are plenty of walking trails to follow in which you will see an abundance of animals and birdlife. Guests can go on excursions in the surrounding area where they encounter: the Big 5, whales, hugging a cheetah, playing with snakes or learning about the local culture. 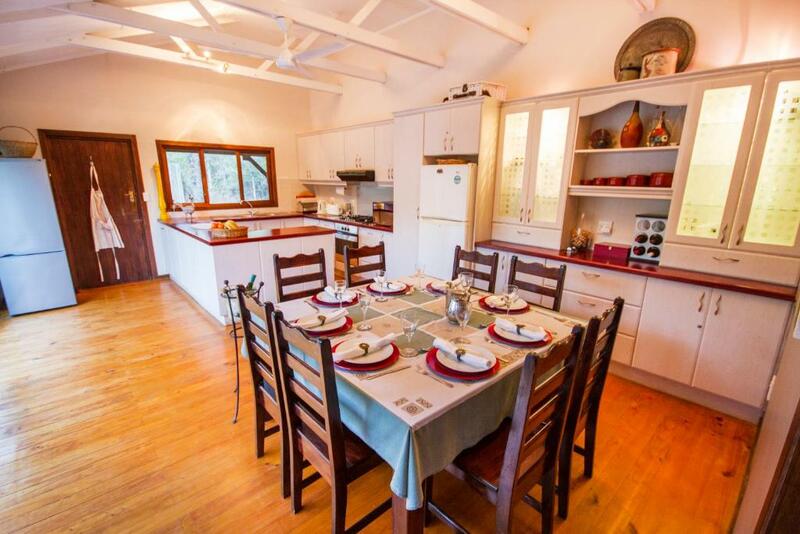 As Thornwood is self- catering ( B&B and Dinner B&B on special request) there are many local restaurants we can recommend. Join us for one of our Yoga (or other) retreats that we hold throughout the year. House Rules Thornwood takes special requests – add in the next step! Thornwood accepts these cards and reserves the right to temporarily hold an amount prior to arrival. Please inform Thornwood of your expected arrival time in advance. You can use the Special Requests box when booking, or contact the property directly using the contact details in your confirmation. Keys situation is a bit painful, considering the standard and pricing of the accommodation. Everything was most comfortable loved the outdoor showers and the pool. Also the bird life. the cute mice who had made their home in the one bedroom . If you want to eat out for dinner be prepared to drive in rural area after dark.